Check out if Saude Crainça is in The Top 100 NGOs 2013 Edition! Addressing the root causes of childhood illness. Replicated in 6 Brazilian states. Working as a paediatrician at a large public hospital in Rio de Janeiro, serving some of its poorest neighborhoods, Vera Cordeiro grew increasingly frustrated at seeing children released back into the conditions that made them sick in the first place, feeding a constant re-admission cycle. 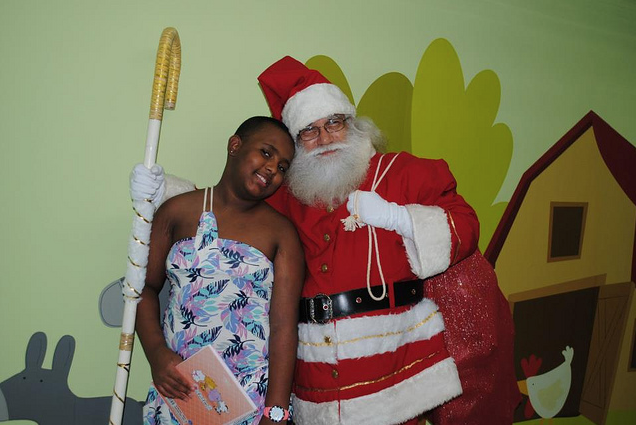 In response, she founded Saúde Criança in 1991 to work with severely ill children of poor families to ensure they receive comprehensive post-discharge support for a full recovery. Recognizing that childhood illnesses occur within a larger socio-economic context in which the conditions of poverty instigate and perpetuate the symptoms of disease, Saúde Criança’s multi-dimensional model seeks to address the root causes that prevent families from providing adequate care. The organization’s goal is to ‘restructure’ families and enable them to reach a level of selfsustainability by improving conditions of healthcare, income, housing, education and citizenship. Intensively trained volunteers work one-on-one with the families of at-risk children to develop a tailored ‘Family Action Plan’ – a two-year collaborative strategy supported by direct assistance in the form of food, housing, medicine, and professional health and social services. In ten years, almost 3,000 families have been assisted, with average incomes increasing by 32 percent, and expenditure on re-admissions at public hospitals dropping by 66 percent. The model has also been replicated in six states across Brazil.